Some Wicked Cute Bahston Terrier's here. 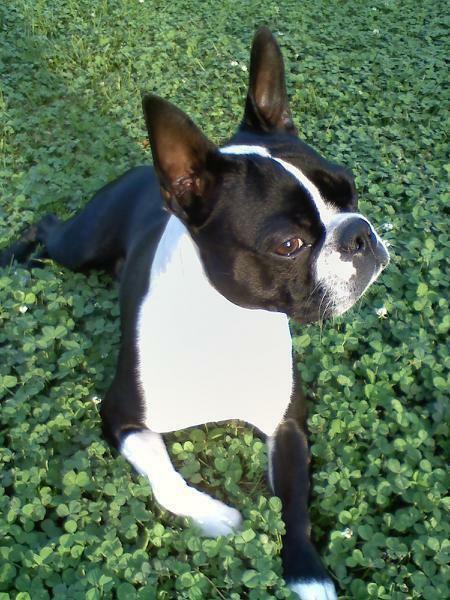 Today's post is about two handsome Boston's sent in from Shelly in Richmond, VA.
Meet Bully (Bullston, Sir Bully, BoBo) - a good-looking fella who searches for the luck o' the Irish in this clover field. "I know there is a pot of gold somewhere around here." 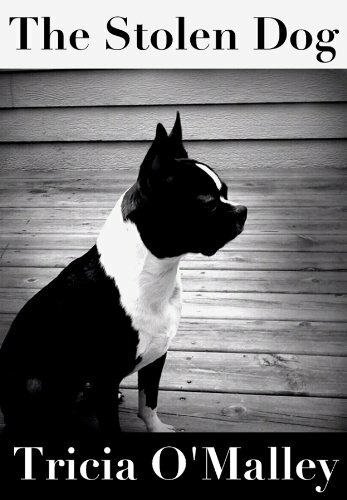 And then there's Hoss - Bully's brother from another mother. They share the same dad. Hoss tries not to throw his weight around too much, but he is certainly the bigger brother at 30 lbs. Full of energy, he tries to entice Bully to play with his tennis ball every morning. 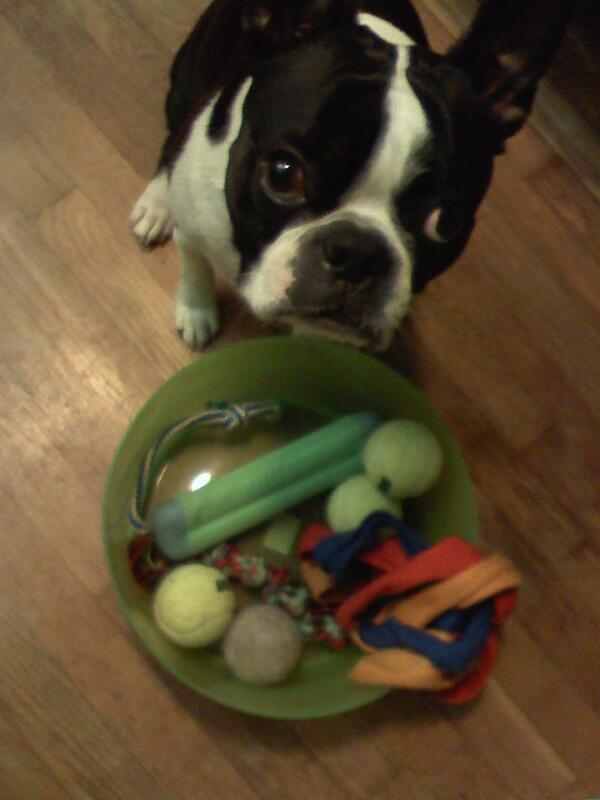 He'll prance for hours through the kitchen waiting with the ball in his mouth while Bully gives him the "go away" look. "Ball. Wanna play ball? Play! Play! Ball. See the ball? Let's play!" Bully performs his infamous looooong stretch as he finally decides to get up for the day. So far he has dutifully ignored Hoss' requests to play with the tennis ball. "I suppooose I will get up for the day." After an extensive play session, the brothers wait for Dad to get home, offering up free snuggles and puppy kisses to anyone who wants to join them. "We're gonna build a blanket fort next!" Want to see your dog featured here? Send pictures to tricia(at)thestolendog.com. Sign up to read The Stolen Dog in the left-hand column! A portion of all proceeds will go to animal rescues. April 29, 2013 by Tricia O'Malley.